I love a good potluck. This recipe came to me in a dream. I was taking a very rare and coveted nap and when I woke up, I had a vision of a salad topped with baked sweet potato wedges coated in a crispy coconut crust clearly in my mind. The problem was, we were smack dab in the middle of moving and half of my kitchen was in boxes. So I jotted the idea down on a neon blue post-it note and placed it in a notebook, where it was promptly forgotten. I don’t know about you, but when I find a new dish I like, I tend to eat it repeatedly. And when I say repeatedly, I mean 3-4 times in one week. While this isn’t an issue with a healthy, cost efficient, home cooked meal, it quickly becomes an issue when it’s an item at a restaurant. Such was my predicament recently when I discovered the Superfood Side Salad at Chick-fil-A. Today, my friends, is a special day. 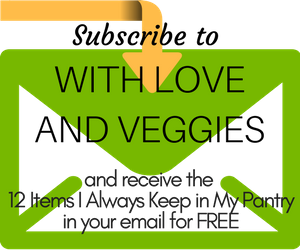 I am so very excited to share With Love & Veggies’ first ever Guest Post!